Asheville, NC: Organic Growers School’s Farm Beginnings® is a yearlong farmer training course beginning on October 15th, 2016, and is now open to applicants. Last year, Organic Growers School launched a pilot of Farm Beginnings® with great success. 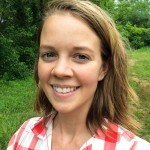 According to Mary Carroll Dodd, a graduate of the 2016 pilot, “Farm Beginnings has been a wonderful program, I have learned so much not only about myself but also about the direction we want to take our farm and our lives.” She and her husband, Griffin, started Red Scout Farm this season, slowly taking steps to build farm infrastructure and joining the Black Mountain Tailgate Market. Farm Beginnings® is designed to offer beginning and expanding farmers the practical skills and knowledge needed to start and grow successful long-term farm businesses. With a focus on sustainable agriculture practices, the course is taught by established farmers and agricultural entrepreneurs from across Western NC, such as Flying Cloud, Aardvark Farm, Hickory Nut Gap, Bluebird Farm and A Way of Life farm. The course is open to aspiring, beginning and expanding farmers in Western NC and surrounding Southern Appalachian states – Tennessee, Virginia, Georgia, and South Carolina. 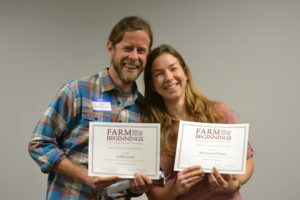 Farm Beginnings® is a 12-month training that uses a mix of farmer-led classroom sessions, on-farm tours, and an extensive farmer network, tapping into the knowledge of the most innovative & skilled farmers operating in WNC, with mentoring for success. According to Dodd, “It’s been really helpful to learn about marketing and the business side of farming and also hearing from so many different farmers from our region and their trials and tribulations and the things they went through to become successful farmers here.” As mid season hits, Dodd feels that Farm Beginnings was valuable because it “was able to give us a more realistic idea of how life and farming was going to be.” Amidst the constant picking, washing and marketing, Dodd is constantly going back to the kernels she learned in the class and on farm visits. Farm BeginningsⓇ was developed to directly address the needs of the regional farming community and offer a comprehensive farmer-led training course to better prepare the future generation of farming professionals in WNC. It is a part of the national Farm Beginnings® Collaborative, recognized as “a model that is creating strong new farm businesses across the country” by Kathleen Merrigan, former U.S. Deputy Secretary of Agriculture (in her 2012 remarks to the Beginning Farmer and Rancher Development Program directors). The one-year course consists of 180+ hours of training time including: 60 hours of whole farm business planning sessions to take place; 45 hours of production training through field days on sustainable farms around WNC and on the Southern Appalachian Highlands Conservancy Incubator Farm; and 40+ hours of classes at Organic Growers School’s Annual Spring and Harvest Conferences; plus 8 hours at ASAP’s Business of Farming conference. The in-class course work will take place at the newly renovated Southern Appalachian Highlands Conservancy’s Incubator Farm’s educational space in Alexander, NC. This program is a partnership between the Southern Appalachian Highlands Conservancy, WNC FarmLink and Organic Growers School, Farm Pathways project, started in 2015. 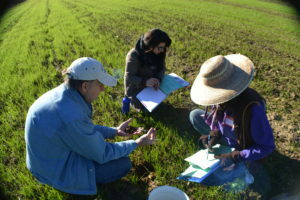 The Organic Growers School is organized annually by the Organic Growers School, Inc., a 501(c)3 non-profit organization.